They found themselves looking at other successful entrepreneurs living the dream life in an exotic country, while staring out the window of their apartment building in a crowded city. Slowly but surely gathering courage and inspiration to chase the same dream..
...and then they suddenly woke up with a feeling of “I’m doing it!”. And that’s all she wrote. Now you’ll probably see them floating at the top of their industry. However, building a successful business abroad isn’t simply a stroke of luck. Your favorite entrepreneurs didn’t centralize their business idea around just anything that seemed profitable at the time. They knew better and didn’t rely on luck but rather their dedication, passion, love, motivation, and willingness to face the risks and overcome them. Did you already figure out how you’re going to launch your business in a foreign country? Don’t worry if you haven’t! I’ve made a list of 7 essential things in order to help you successfully launch and develop your own business overseas! Starting your own business might be an intimidating uphill ladder to climb but many have gone and done it before you. Being constantly rejected after job interviews will take its toll and drain your self-belief. As mentioned in the intro, starting a successful business doesn’t come easy, heck starting a business at all isn’t easy. That means you must be heavily motivated and believe for 200% in yourself and in your business in order to succeed. When you’re starting a business as a last resort, you’re already down 2 points. Dig deep - and I mean really deep. Find the true answer to why you want to start a business. Once you can answer that, it’s ready to go to the next step. You might already own a business in your home country but want to re-brand and introduce it overseas in a new market. For the sake of this list, I’m assuming you don’t have a business yet. First off, it would be pointless to reinvent the wheel. Try to find an idea that is already available on the market and simply improve it! For example, I developed an idea and started my own business in my last year at the University. At the time, it was mandatory to do a 6 months internship abroad. I decided to do my internship in Asia, Indonesia to be specific. In Indonesia, it’s quite hard to find a company that’s willing to provide an internship due to all the paperwork etc. That’s why there are various agencies offering a service that will land you an internship. However, I was very dissatisfied with how things were handled. It was poorly put together from start to finish and I had to take care of so many things myself. I thought I can do this but way better. Based on that experience, I decided to start my own internship agency, offering internships in Indonesia for a fixed fee and my agency would take care of paperwork, housing, airport pickup, visa documents, and a few extras. Look around you, think about this example and maybe you’ll get an awesome idea to improve an already existing product or service. Some business plans are never ending documents of countless of pages with expectations, calculations, assumptions, market trends, fluctuations, what’ll happen in 2, 3, or 5 years, and so on. That’s all. Try to answer all these questions. It’s not as easy as you might think. Let’s quickly flashback to one point in the previous section: your potential customers. When thinking about your potential target market, try to really nail it down as specific as you can. For example, when you sell waist trainers for women, don’t just target all women. Narrow it down by targeting women who are interested in a healthy lifestyle, gym, fitness, body shape, losing weight, etc. Furthermore, you want to target a very specific target audience through social media campaigns also. The better you are able to narrow down your audience, the better the results are. It’s better to reach a small group who you know will be interested in your product or service instead of targeting a large group who might not be interested at all. Finally, test and analyze your own campaigns. Develop an A/B testing strategy and to optimize your campaigns and utilize your full potential. You don’t want to charge too much, yet you don’t want to charge too little. Be realistic and recognize a fair price for your product or service that people are willing to pay for it. This also means, if you’re offering something of great value, don’t be afraid to price it accordingly! Set realistic goals and calculate how much you need to sell quarterly/monthly or weekly in order to break-even or surpass your goal. Again, be realistic, this is important. Calculate any overhead costs such as delivery and/or any other incurred costs, it’s not rocket science. Update and revise your financial overviews every month. When you’re just starting out, you want to keep the costs as low as possible. Be creative and be careful with spending money. Don’t rent expensive equipment or a fancy office at a premium location if that is not directly affecting the success rate of your business. When I first started my business, I moved to Indonesia with just one suitcase and my laptop. My room was a very simple one-bedroom apartment with a shared kitchen. If I wasn’t driving around visiting companies, I was either working from home or a local cafe. Much, later on, I decided to rent an office. Do you need extra starting capitals and you can’t reach it alone? Explore your options among crowdfunding websites. It’s a great solution to raise a certain investment and you can even invite friends, family or old business partners to support your business idea. One of the most famous crowdfunding platforms is Kickstarter. 7) It’s Time For Action! Your business idea can be great, awesome, or incredible. Yet, without customers, your business won’t stay around for long. It’s a follow-up on section 4 - your target audience. When you’ve been able to pinpoint who your potential customers are, it’s now time for action! The most important thing is to get started. It doesn’t really matter where or how - just do it. Don’t overthink it too much. Create a list of companies or individual prospects who might be interested in your product or service and go after them. Call them, visit them, email them. Try to build a network and constantly expand. Schedule social media ad campaigns to raise brand awareness, engagement or following. Are you still sitting in that chair, in your apartment building, in the crowded city? I know I’m repeating myself here but it’s the most important thing to start your own business: It’s time to get out from that chair and take action. Nothing is going to happen if you don’t get started! Hopefully, this list will push you in the right direction. Did you already experience how it is to start your own business? What were your biggest challenges? About Marcel de Jong: Marcel is a lead content writer for Now Health, digital nomad, and entrepreneur living in South East Asia for the past 10 years. In his free time, he loves to do outdoor sports such as wakeboarding, climbing, or snowboarding. If not, you might catch him hanging out with his friends or travel and enjoy the beautiful countries in Asia. If you’re like me you’re probably wondering why in the heck an individual blogger would need to build a powerful brand. Isn’t that just for Apple, Nike, Google, Starbucks, and all of these billion dollar empires? Whether you like it or not, readers make a split second decision each time they find your blog. Either your presentation impresses them and they stick around or you send them packing with a poor presentation. Your presentation is your blogging brand. Powerful blog branding is about creating a memorable, impactful experience. If you follow a few specific steps you can craft a renowned and powerful brand. Why Build a Powerful Blogging Brand? 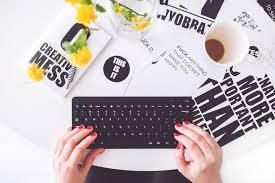 If readers remember your blogging brand they will return to your blog, buy your products, hire you and endorse you to their like-minded communities. Follow these tips to build a rocking blogging brand. Pay for a domain, hosting and premium theme to build a powerful, renowned, memorable blogging brand. By owning a self-hosted Wordpress blog and buying a premium or bespoke theme you can perfectly tailor your blog around your brand. Literally, you can mirror whatever brand image you have in mind through your blog. Your customization options goes through the roof with a self-hosted Wordpress blog and bespoke theme. Pay up to move up in blogging circles. Align every element of your blog 100% with your core message to create a world renowned brand. I did not appear on world famous blogs and news sites until I aligned my blog 100% with my core message. Powerful blogging brands are lean, mean machines, with no excess fat jiggling around your blog design. You will only see Blogging From Paradise products and services on my blog. I am ruthless when it comes to enforcing this rule but this is the main reason why my blogging brand shines brightly enough to get featured on popular, world-renowned blogs and news outlets. Trash anything that does not align fully with your blogging message. Yes, that means trashing Adsense or other 3rd party ads that you do not own. Remember the title of this post; we are building “powerful” brands, not “average”, or ho hum, brands. Many of my readers said they feel like they got to really know me through my Facebook Live videos. Recording videos, podcasts and other multimedia adds a human component to your blog which makes your brand memorable. If my blog is just words on a screen you may have a difficult time remembering me and my blog. If however you see me talking via a Facebook or Youtube video you will perceive me to be a real, living, breathing human behind the words on the page, making my brand more memorable. Record videos. Start a podcast. Remind readers that you are human. Create a powerful brand by connecting with readers on a deeper, human level. Add a “Seen At” widget to your blog. Readers instantly associate your blog with where you were featured, adding more power and credibility to your blogging brand. I appeared on sites like Virgin, Forbes, Entrepreneur and Fox News. Readers perceive my blogging brand in a different light through the power of associating Blogging From Paradise with these famous, respected brands. Write 1000 words daily in a Word document for practice to gain confidence in your writing. Comment on top blog. Promote top bloggers via social media. Build friendships with top bloggers to either gain invites to guest post or to pitch your friends successfully. Publish the same brand message on social media. From Facebook to Twitter to G Plus to LinkedIn send the same, branded, singular signal that aligns with your core message. Example; I blog about blogging from paradise. I share tips to help you retire to a life of island hopping through smart blogging. To maintain a powerful brand I chiefly publish social media updates related to sharing blogging tips and pictures I snapped in tropical paradises. Stay on topic. Brand yourself and your blog effectively. Ryan Biddulph is a blogger, author and world traveler who's been featured on Richard Branson's Virgin Blog, Forbes, Fox News, Entrepreneur, John Chow Dot Com and Neil Patel Dot Com. He has written and self-published 126 bite-sized eBooks on Amazon. Ryan can help you build a successful blog with the 11 Fundamentals of Successful Blogging Audio Course. Check Out These 3 Simple Ways to Make Money with Live Streaming! 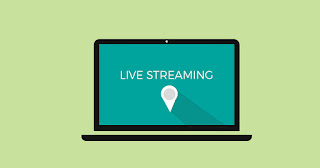 There are many Internet users who use live video streaming to promote their brand. With this medium, businesses are able to position their brand, create the buzz of their new products andget rapidfeedbackfrom their target audience. The growing trend of this new marketing tool has opened new avenues for businesses to promote their brand. If you want to make money from your personal videos, you can straight up charge people before they watch them. There are some platforms that allow video makers to have a paywall, the first one being DaCast. Of course, there are third-party options, like InPlayer, which can require a visitor to pay up in order to view your unique content. This could work with either live streaming or on-demand videos that viewers could choose to view from.Subscriptions are also a good, maybe better option for some. Netflix and Amazon work this way, and so can any person who wants their videos to earn for them, provided the content is good enough. A subscription is basically a periodic charge that would allow viewers to watch as many videos as they can for a specific period of time. You can contact companies to place advertisements in your video descriptions, or for product placements within your videos themselves. Of course, you would have to make sure theta the quality of the video does not suffer as a result of this product promotion. The ads could appear in set places right in your video itself, or appear as a link or images in your video descriptions. Or, if the product is relevant enough, you could even show yourself using it. For example, if you’re a makeup artist, makeup brands could very well contact you themselves and ask you to try out their products in order to promote them. 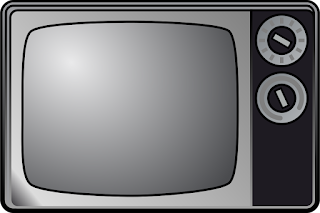 Advertisements could also interrupt the broadcast of our videos, but this is generally an irritating occurrence and can put some viewers off both the video and the advertisement. Ads should be tastefully placed. However, the upside of advertising is that it makes videos and other content free for the viewers. This method is similar to advertising. However, here the sponsoring company or party would actually fund your video before it gets made. The sponsor would thus be endorsed in the video itself and usually gets a shoutout at the end of every broadcast. One usually needs a large audience before sponsorship or advertising are suitable options. However, since the content would be free as a result, it might be easier to get a larger audience than if the video viewing had to be paid for. Before one can start making money through live streaming, they do need to make sure their content is of high quality. The present numbers of the viewers also largely count when monetizing videos. The options above, as well as others, can only then help in earning video makers enough cash to keep them going. So if you intend to make money using this new form of video marketing, you need to keep in mind all the aforementioned tips before you lift your camera and tripod stand. Wishing you all the luck! Author Bio:RayanneDany is a Digital Marketing Guru, SEO Expert, and a Blogger. Apart from these roles, she also provides true assignment service to international students. You can connect with him on Google+. SEO – to the average person, even if they’ve tried to look into it and educate themselves– its downright confusing! But if it is confusing, they’ve either read the wrong guide, or have misconstrued what they’ve read. What I’ll try to do, is tell you how SEO really works, in simple terms. And it’s the way I’ve been working as a freelance SEO consultant for the past 2 years – and got bloody good results as well! SEO has been given bad press by people who are doing things the wrong way (i.e. Black hat way). I’m not saying it doesn’t get results (it sometimes does) – but how long lasting and ethical is it? SEO the way you may know it, is usually described with the view you need to “manipulate” Google or somehow “trick” it into pushing your rankings. As you may well know, aside from optimising your on-page SEO, the next stage is the food of the search engine’s – BACKLINKS. 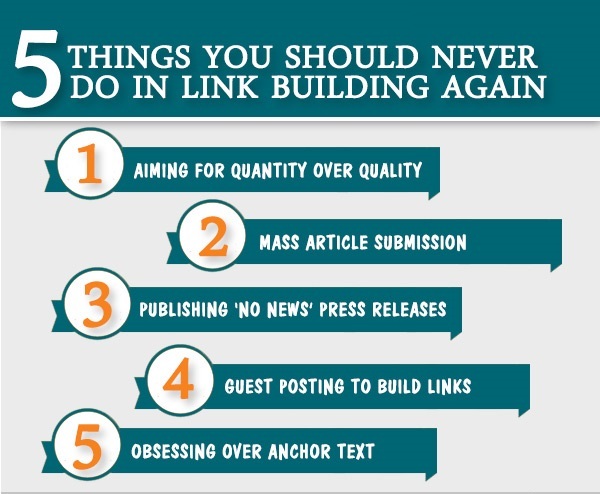 And the way people usually achieve more links, is by building a load of blogs, posting a bunch of crappy articles on them and using the anchor text of their keyword to link to their site. In a fancy-dancy way, they may even interlink them, mix in some PBN links or whatever. The point being, they will make artificial sites themselves (or buy links) and then eventually try to divert the link-juice to their money site. Now, as I said, it can work. But I’ve seen people hit the top spot in Google within weeks, but then once they take the foot off the gas (or get hit by a google update) they came crashing down to the bottom with a massive penalty. Here’s the real number one strategy to do white hat SEO, and it’s pretty much the easiest one I’ve seen and is the only strategy I implement to this day. 2. Create the best content of your subject you can think of. Either from your own expertise, or hire a writer. Example: if you have a carpet cleaning company, write a big article (500-1000 words+) about how someone would clean their own carpets effectively. Very key – do not over-optimize or include a lot of keywords. That seems strange I know, but Google can tell when you’re trying to manipulate their algorithm, so your best bet is to just keep it natural and make the content interesting and useful. 3. Create a list of websites who would be interested in your content. In the carpet cleaning example, you would contact mom blogs, cleaning blogs, womens lifestyle sites,etc. Just any site where real users would probably find your content useful. 4. Find the contact emails of the owners/writers and write a simple email to them telling them about your content and if they’d like to link to you. 5. If they like it enough, they will link and if they don’t, they won’t. Simple as that. And of course, these links are the best of all and hold much, much more weight than any artificially created link. Real websites, with real readers and who are really interested in your content. You’ll get both referral traffic from the link and since Google can tell that you have related websites linking to you (not just rubbish SEO-purposed sites) it will push your rankings up. Believe me, as a link building company, we’ve tried and tested everything! Now, it’s a very simplified version of the strategy. But I find, the best things in life are usually the simplest as well..
John Logie Baird’s imaginative obsession of moving captured images turned into a pet project for his passion. During his research, John Logie Baird invented the system of mechanical television. Using Nipkow disc which was a perforated and a rotating disc, John Logie Baird was able to disaggregate between televised images and reassemble it for better viewing. 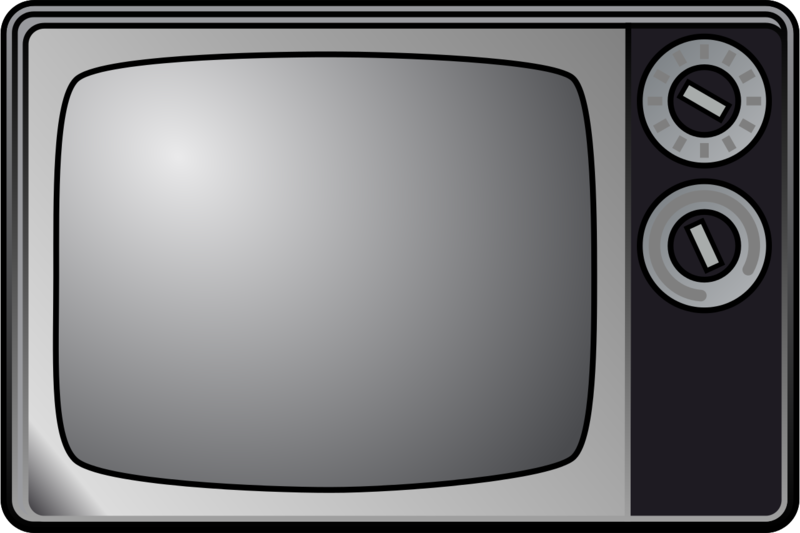 John Logie Baird’s invention was the first system that proved the mass distribution of televised images. With the radio broadcasting feature, the images could be transmitted wireless. John Logie Baird made steady progress with airing recognizable faces through the mechanical system in 1925. John Logie Baird’s Televisor project successfully transmitted moving images over telephone, and it was proved successful when first transatlantic and first shore to ship moving images experiment were successfully completed. This paved the way for colour television and the first video recording device. John Logie Baird continuously kept experimenting with technology to increase his resolutions from 30 lines of definition to 240. Once 1930s began, potential competition arose for the mechanical system proposed by John Logie Baird. When the decision to commercialize the system was about to taken, BBC’s intervention commenced the dispute for commercializing. Baird resumed innovating and expanding his own ideas about technologies which led to high resolution color television and three dimensional televisions. Kinetograph invented by Thomas Alva Edison was based on the concept of creating film for the kinetoscope. With the images being affixed to cylinder sequence for rotation of motion, this attempt seemed to be impractical. The Kinetoscope prototype exhibited at a convention, was both a camera and a peep hole viewer. Thomas Alva Edison was disinterested projecting films, as he made good revenue from the sale of Kinetoscope machines. With the film exhibitions in Europe, Edison presented the first exhibition of projected motion pictures by using a projector called the Vitascope. Slowly, Thomas Alva Edison moved on from sale of kinetoscope machines to film making. While Edison's laboratories were working on the Kinetograph and Kinetoscope, the French brothers, Auguste Lumière and Louis Lumière developed an apparatus that had three way usage such as camera, printer, and a projector. Known as the Cinématographe, this was similar to Edison's Kinetograph in its use of intermittent motion and perforated film. Small businesses are a constant target of cybercriminals and anyone working on internet security can confirm this claim. Small business owners are usually let by the thought that there is nothing worth stealing from them, but hackers are able to take any piece of information and profit from it while seriously compromising your business’ online security. Thankfully, you don’t have to learn to protect yourself the hard way and precautionary measures are the best solution. Knowing how to keep the security of your small business in check will make all the difference, especially because too many business owners still don’t pay enough attention to this aspect. We will talk about six ways you should learn to fend off any cyber problems in 2017. First rule of internet security is that you shouldn’t wait for anything bad to happen to take action, but you should secure yourself beforehand. For this, you need to be informed first on what needs to be done, and for this cause it would be wise to consult IT experts. 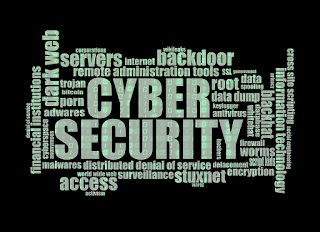 You should have a skilled IT employee who is able to take care of every cyber situation and that goes for anything from problems with connectivity to serious security threats. The level of protection you’ll need depends heavily on what sort of business you’re running and how connected it is to internet. If you’re daily dealing with many online payments and regular confidential information manipulation, then you will need a security system that can match the security requirements. The first thing to do is get a strong antivirus program and you will have to pay for it, seeing that you’re aiming to protect all the devices in your office in one swoop. This expense won’t be too terrible, but it is necessary even though you don’t feel like spending any money on online security. Security software should include antivirus, anti-phishing tools, firewall, anti-spam and any other additional component that you may need. The biggest reason for hackers getting what they want is the element of human error. If you don’t know what you’re up against, how can you know how to stop it? 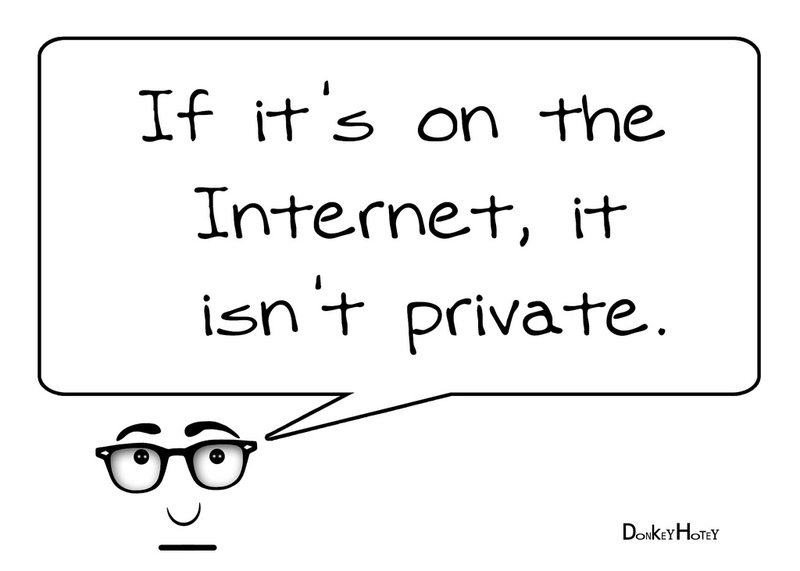 It’s important to note that online security and privacy aren’t the same, though they are closely intertwined. Small businesses are not just a good target for security issues, but are also constantly in danger of being under surveillance. Though tracking on the internet has become pretty much omnipresent, you still want to do all in your power to stay under the radar. Sometimes spyware will get into your business’ system and track all the activities of your staff and yourself only to send the information back to ad companies so that they can target you with ads, but sometimes hackers go for the big kill and manage to pull off identity theft or steal your bank account details, or the details of your customers, which is far worse. 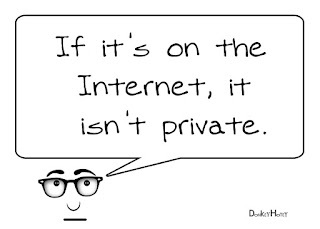 Using a VPN aka virtual private network to maintain your privacy is a good solution. Protecting small business privacy is much easier when you’ve got a tool that encrypts your entire internet connection, enables you to bypass geo-blocking and allows your employees to safely work remotely. Each one of your employees, including yourself will bring their mobile devices to work with them and if they all connect to your business’ official Wi-Fi, security hell could break loose very easily. All you need is one unprotected device to let some malware or virus run rampant and the consequences could be severe. The best course of action is to set a separate internet network that will be used by all the guest devices in the office, so that the business network can remain safe and isolated. BYOD (Bring Your Own Device) policy should clearly specify the terms and conditions about employees using their devices at work, so that they’re aware of what is expected from them. This is a failsafe well worth thinking about, though not too many business owners are ready to get insurance for data breach that might never happen. Fortunately, there are companies that offer quite affordable policies and you get some peace of mind by obtaining them. Just think about the fact that these policies will cover the expenses for the recovery of any security you’ve insured yourself against and if you end up in court, they will cover those fees too. 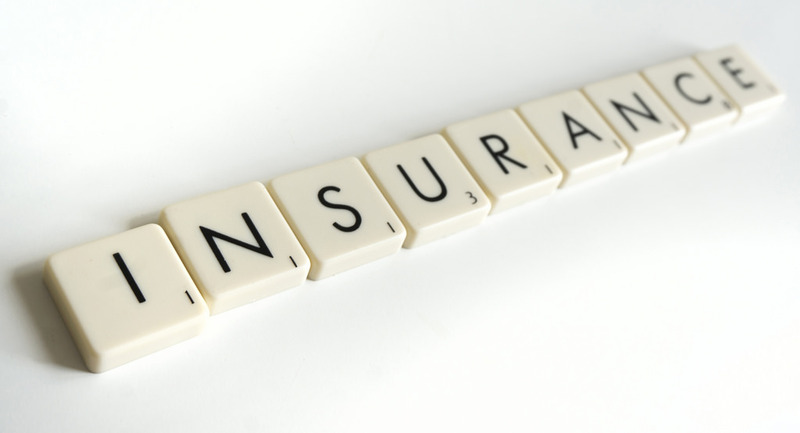 Small businesses can suffer terrible financial losses from security issues, and having data breach insurance certainly softens the blow. With all the security tools you have to protect your business, it is very still important to do regular checkups of your system security. That is why we mentioned that it is vital to have an IT expert among your employees who can deal with these checks and keep you informed of any changes that might happen. Sometimes hackers are extremely resourceful and are able to hide malware very well so that even security software can’t find it, but human deduction and reasoning can. Do these checkups on top of everything else we talked about in this article and you will significantly diminish any chance of having to deal with security breaches in your small business. Now, Let’s Talk About The Money Making Aspect Of BITCOIN, This Is The Part Where I Need Your Undivided Attention. Please Drop Whatever It Is You Are Doing Right Now And Pay Close Attention. You’ll BE Glad You Did! All these platforms run a very similar model that is dependent on Peer-2-peer(p2p) donation platform. 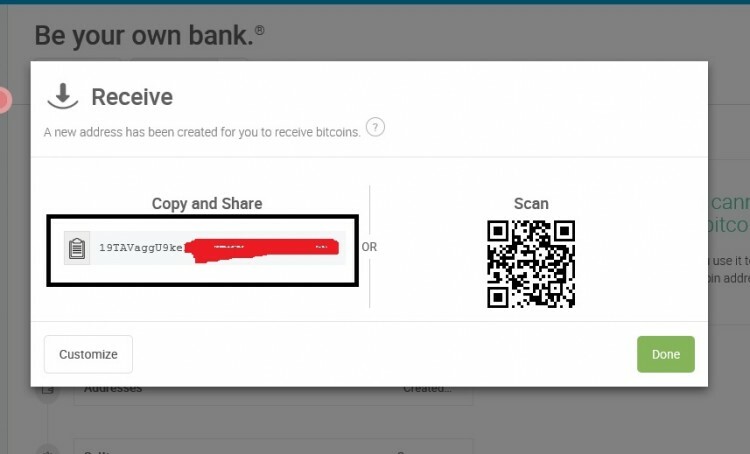 Five2btc is a direct member-to-member donation platform that uses ONLY bitcoins for transactions. 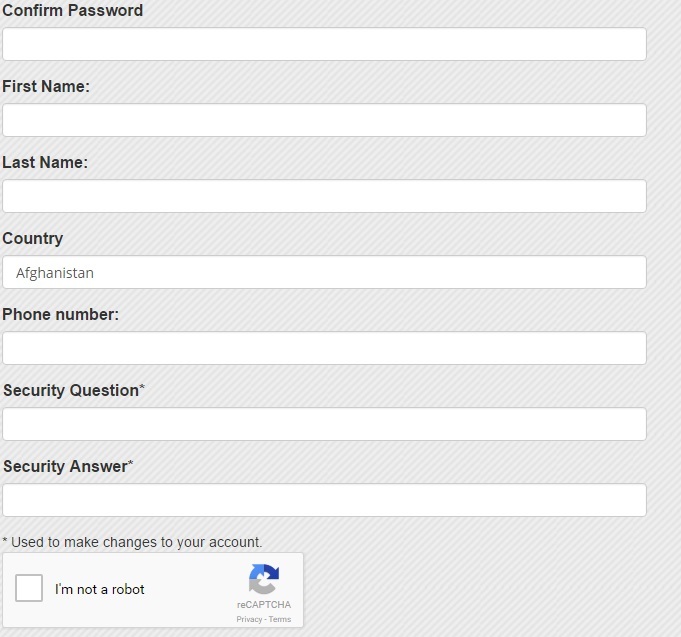 Which means, no central account, no request for withdrawal, no admin. 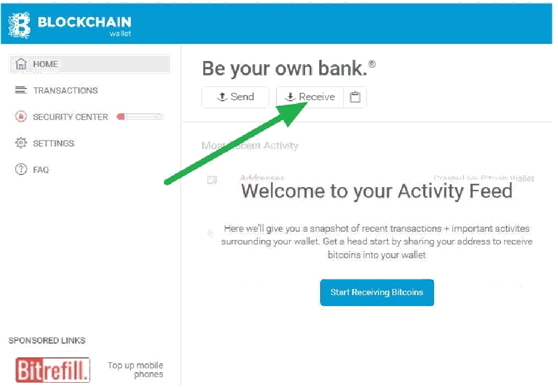 Your money (bitcoin) is paid straight into your Blockchain wallet; which is similar to your traditional bank account. Deposits, withdrawals, and transfers are done instantly! Five2btc’s front man is David Vincente Martin from Spain. Five2btc was officially launched in September 2016, and as at the time of writing this report, the number of Five2btc members worldwide is over 17,000 and increasing by the day. 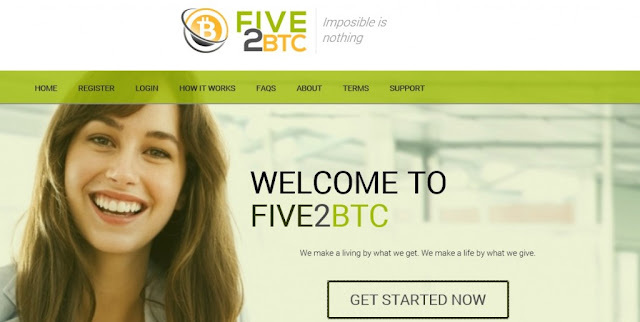 Five2btc gives you the opportunity to accumulate up to 64 bitcoins monthly. In Five2btc you start with 0.01 bitcoins (N4,000) and grow this figure to 64 bitcoins (N25,000,000) monthly. Five2btc is a 2×5 forced matrix. You sign up for free and you are placed on level 0. The system gives you 24 hours to upgrade to level 1. To upgrade to level 1, you will donate 0.01btc to your sponsor. Your sponsor is the person that referred you. 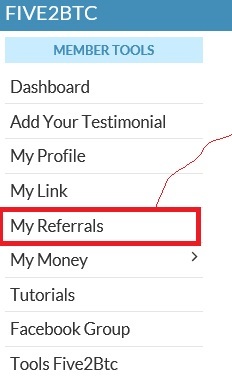 You are given your referral link and are ready to start making money. You only invite 2 people and no more. Even if you bring more than 2 people the system will not place them directly under you, but under the first 2 people you brought in (this is called the spill over effect). Be careful to bring in 2 people who are as zealous as you (or more zealous). The first 2 people you bring will form your level 1 downline. Each of them will pay you 0.01btc (0.01btc = N4,000 ×2 = N8,000). 100% ROI. 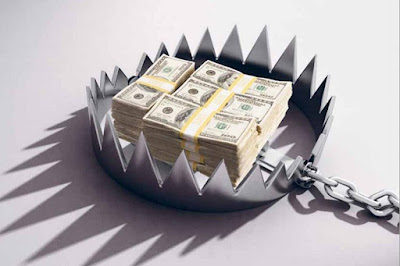 You will get your investment back with 100 percent profit immediately the two people you bring in pay you. The 2 people directly under you will proceed to bring 2 people each. These 4 people will form your level 2 downline. These 4 people will each donate 0.015 btc ×4 = 0.06btc (N6,000 ×4 = N24,000) to you when they upgrade to level 2 (as long as you’ve upgraded to Level 2). The 4 people who have recently joined will bring 2 people each. These 8 people will form your level 3 downline. Now these 8 people will each donate 0.04btc ×8 = 0.32btc (N16,000 ×8 = N128,000) to you when they upgrade to level 3 (as long as you’ve upgraded to Level 3). It will interest you to know that these payments are done monthly. Which means on level 3, you are already on a monthly income of N128,000. For a business you started with just N4,000? The 8 people who have recently joined will bring 2 people each. These 16 people will form your level 4 downline. Now these 16 people will each donate 0.2btc ×16 = 3.2btc (80,000 ×16 = N1,280,000) to you when they upgrade to level 4 (as long as you’ve upgraded to Level 4). The 16 people who have recently joined will bring 2 people each. These 32 people will form your level 5 downline. Now these 32 people will each donate 2btc ×32 = 64btc (N800,000 ×32 = N25,600,000) to you when they upgrade to level 5 (as long as you’ve upgraded to Level 5). I personally do not know anyone who is making as much as 25 million naira monthly. Now, instead of doubting and criticising and over analyzing (which is the default mode of a typical Nigerian), why not press to know more and be guided properly? The world has gone past the age where you have to use a hoe and a cutlass or work 8-5 to be able to make a living. This is the Internet age where anything is possible! Give it a try today, even if for curiosity sake. This might look like a get-rich-quick scheme, but I can assure you it’s not. You will get rich, but it will not be overnight. It is almost impossible to succeed in Five2btc as an individual, which is why we formed a team. Team Alpha is the first and biggest Five2btc team in Africa. It comprises people of different disciplines; budding entrepreneurs who are eager to make it. Who have stopped depending on the government and have taken full responsibility for their lives. Who know that it is better to try and fail, than to not try and regret. Who know that if they lose, they lose N4,000, but if they win, they win N25,000,000 (monthly). Join Five2BTC today and have peace of mind! Follow the step by step guide below on how to sign up for a Bitcoin wallet, how to fund your account and how to pay your downline etc. 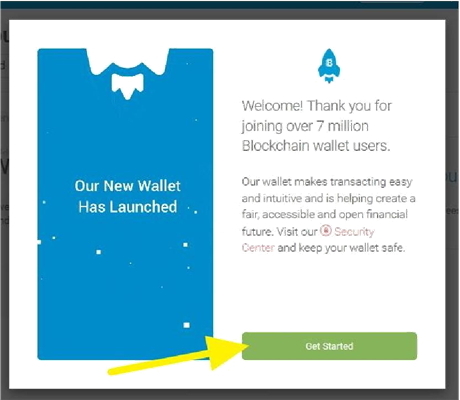 The next thing you need to do after completing your registration on Five2BTC is to open a wallet. 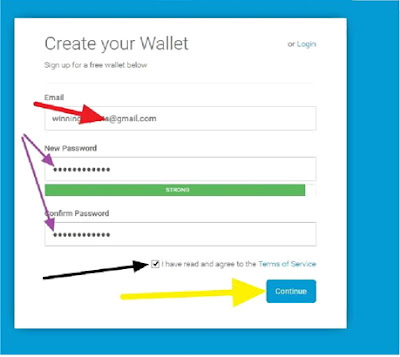 When you open a wallet, you will receive a code which would serve as your account details. You will use this code to receive payment into your wallet. A wallet is what you will use to store your bitcoins through which you can make payment and receive payment. Now there are couple of wallets that runs and stores bitcoin.. 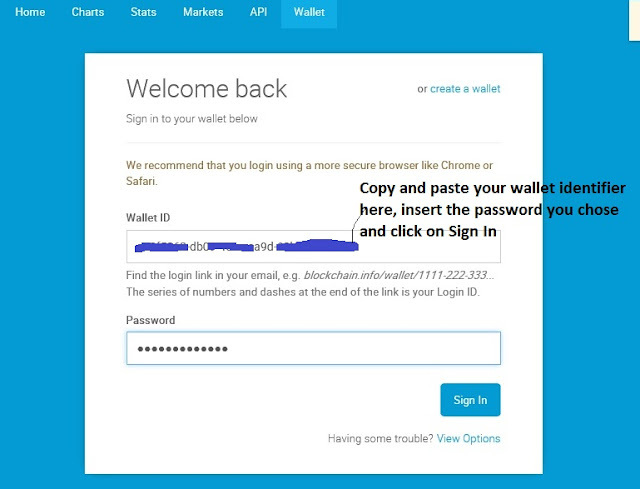 The wallet identifier is your login user ID, do not share it with anybody. You should also keep your password safe. Do not forget it. 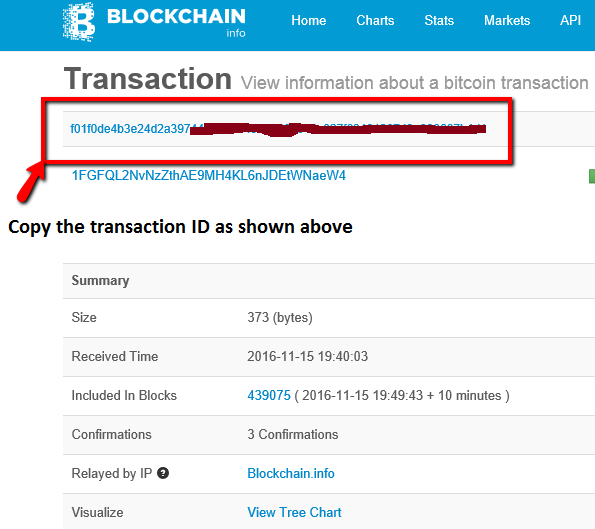 Copy the digits in the item marked in RED above and send it to whoever wants to sell the bitcoin to you. 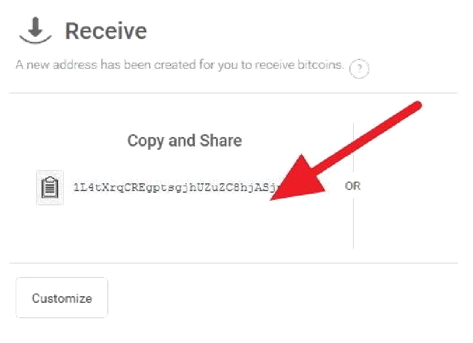 If you want to receive money from anyone too, simply copy the code above and give the person. Now that you have funded your bitcoin account, it is time to start the real business. Log on to five2btc by clicking on the referral link below (If you want your success to be guaranteed in this business, then you need to be on my team. To be on my team, ensure you sign up using the registration link below. Your success is my success so be sure I am going to give you all the tools and assistance you need to make cool and lots of money on this platform. 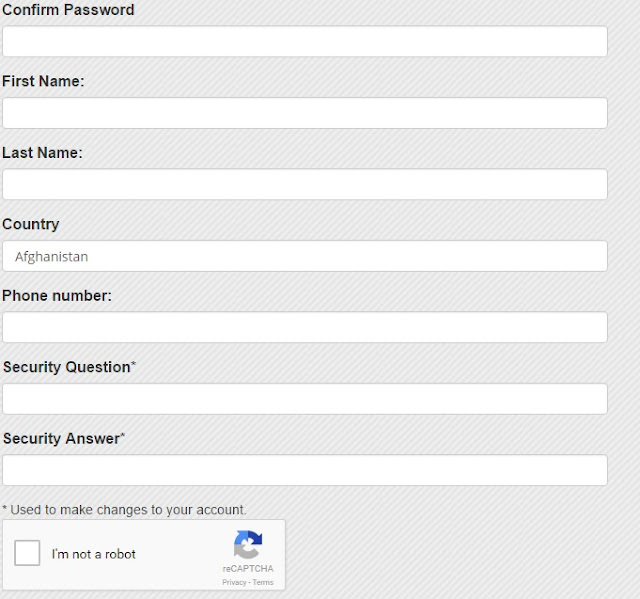 Confirm you are not a robot by clicking on the blank box above. Submit the form then login and you would be taken to a page that looks like the one below..
Do not close this browser as you will still need it later. If you are not clear about anything, feel free to call or email your sponsor as displayed above. I shaded that part in the images I posted above for privacy reasons. You will see it displayed clearly in your dashboard. The next thing is to copy your referral link and start referring others so they can also donate to you. As you begin the journey, you will understand better and see how amazing this is. PLEASE NOTE: Once you register on the platform, you only have 24hours to upgrade your membership level from level zero to level 1, failure to do so, your account would be deactivated. So if you do not have the 4,000 naira (0.01 BTC) to pay your up line/sponsor/referrer yet, please do not sign up on the site. WHY FIVE2BTC IS THE NEXT BIG THING ON THE INTERNET RIGHT NOW! Upgrade must be done within 24hrs of registering, so anyone you refer must also pay you their upgrade fee within 24hours, meaning you can even get your money back within 24hrs of joining it. I highly advise you to give this a try, believe me this would be the best decision you would ever make. I made my money back in less than 24hours of joining. My upline already had her two members completed so the spill over effect naturally assigned someone under me and the person paid me. So I got my money back even before I started promoting my own referral link. I couldn’t even believe it. A lot of people would be glad if you introduce this type of program to them. Join now and start building your team.. 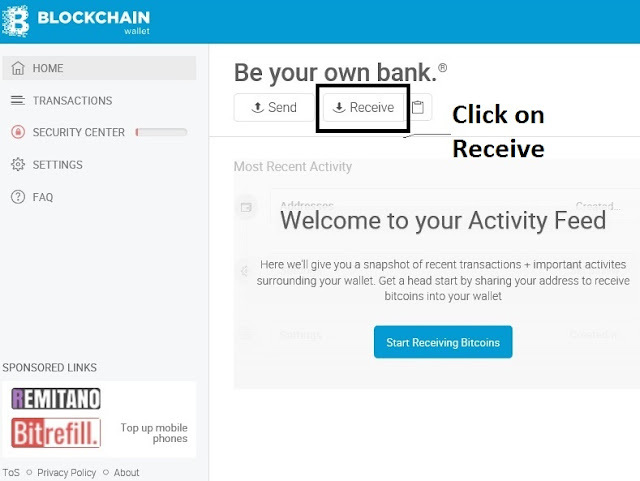 But remember, anytime you decide to join Five2BTC, ensure you come back to this page and copy the referral link you see here so you can be on my team, which is the Team Alpha. You can simply ignore this post or say yes to Financial Freedom. The choice is yours. But Don’t Forget One Thing, Passing Over Opportunities Repeatedly (POOR) Makes One Poor. A word is enough for the wise! Ensure You Sign Up Using Only The Link On This Page ! Feel free to share your views and ask questions using the comment box below…Thanks for reading! How To Open, Fund and Cash Out From A BITCOIN Account in Nigeria. 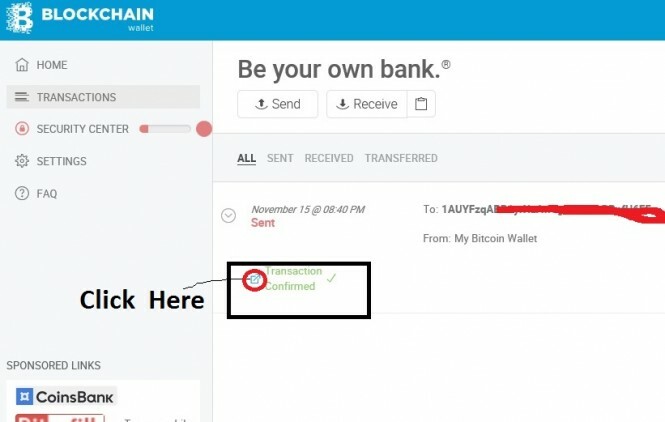 STEP BY STEP Guide On How To Open, Fund and Cash Out From A BITCOIN Account in Nigeria. 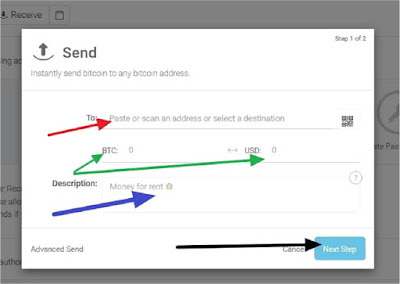 Bitcoin can be referred to as an online currency for transaction. 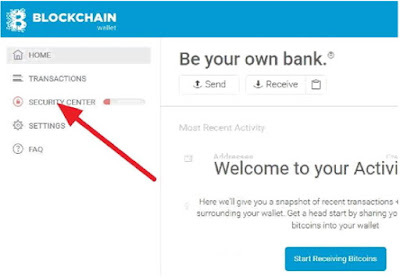 You open an account with one of the bitcoin wallet providers. These are equivalents of our physical GTBANK, FIRSTBANK, DIAMOND BANK etc. To perform smooth transactions online without credit card or domiciliary account, Bitcoin is the way to go. Everyone running businesses or doing transactions online must have one. 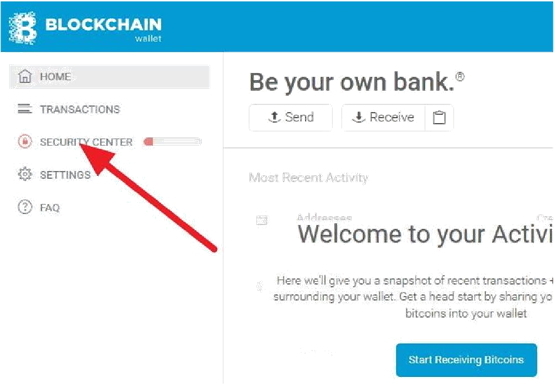 To open a BITCOIN account of your own, you can go to www.blockchain.info/wallet. 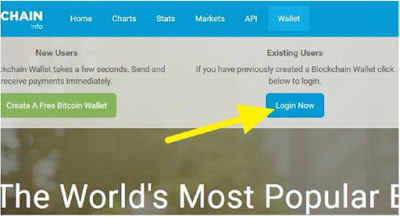 Now, kindly follow my step by step guide to opening a bitcoin account right from your bedroom in Nigeria. Step1. 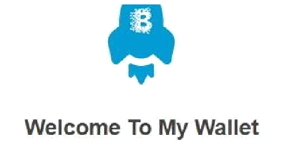 Visit www.blockchain.info/wallet. You will land on a page like the one bellow. 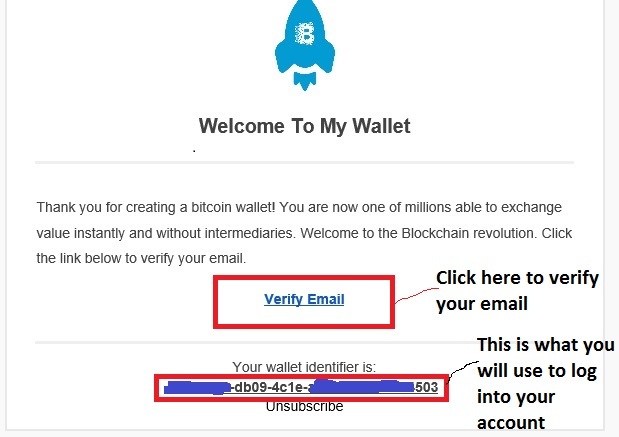 Kindly follow my arrows as indicated above to fill your EMAIL, PASSWORD (must contain letter and alphabet), Tick the terms of service button and click on CONTINUE. You will land on the page above. Just click on continue. Login to your email you used when registering and a mail would have been sent to you just like the one above from BLOCKCHAIN. Click on it to open it. 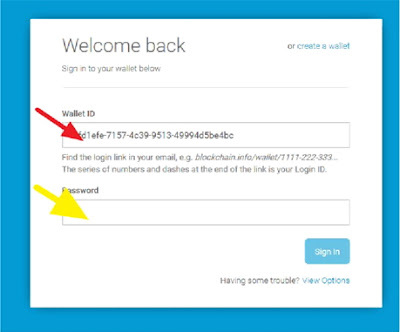 Following my RED arrow in the above image, copy your WALLET IDENTIFIER and keep it safe somewhere. 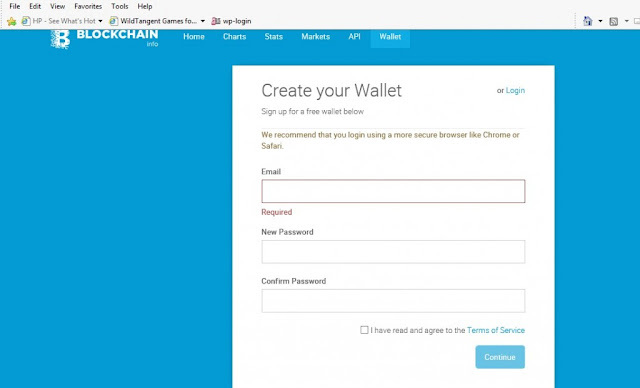 It is what you will use whenever your want to log into your blockchain account. VERY VERY important. 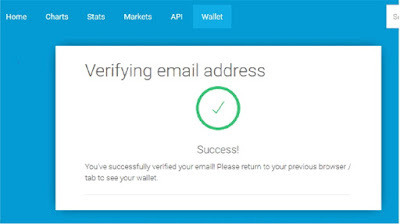 It will show that your EMAIL has been verified. 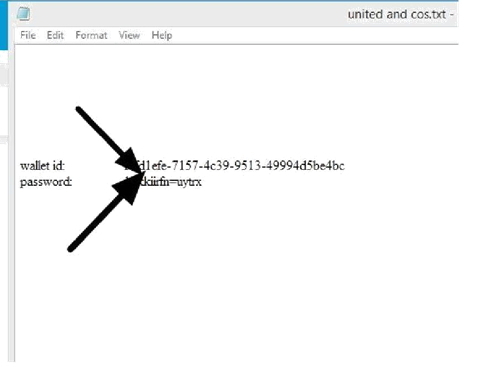 this and keep it somewhere so whenever you want to login, you can always open the notepad to copy your login details. 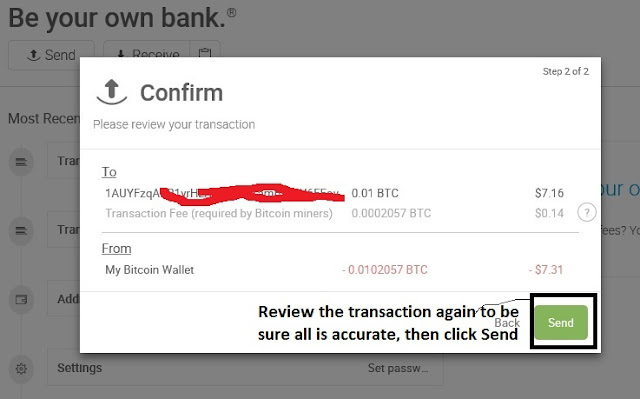 After clicking RECEIVE above, you will then see your BITCOIN wallet ID as it shows in the image below. Copy it and keep safe. It’s is like your BANK account number. And that is what is referred to as your BITCOIN account or bitcoin id. When inside your blockchain account, you will see the section like the one illustrated above. 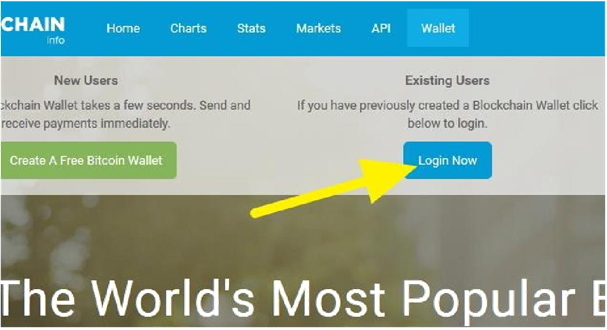 You can click on it to fortify your account by enabling additional security features like adding your phone number, back up security phrase etc. This is to enable you protect your account from hackers from having access to it. Just take your time around here to fortify your account. 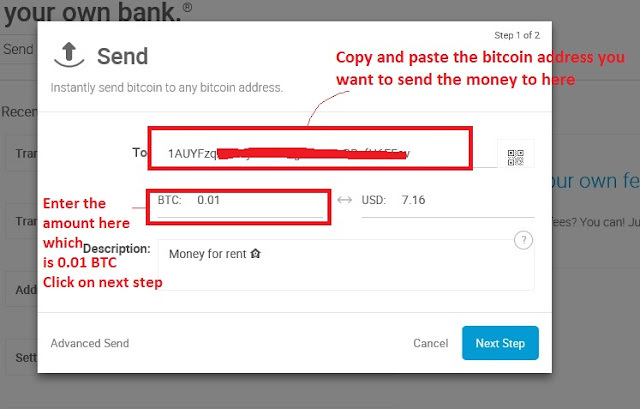 To fund your Bitcoin wallet is very simple. All you need to do is get someone who has money in his bitcoin account to send money to your own bitcoin account while you pay him for the money. Let’s be practical here. 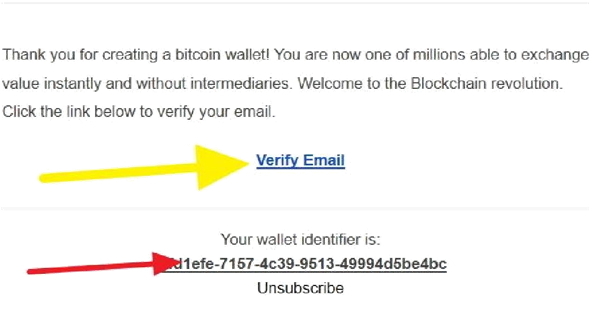 I will fill in your BITCOIN wallet ID. The dollar amount you want, Description (transfer/sales) and i will click on next and confirm on the next page. You give me money, i give you bitcoin. That’s how to get BITCOIN. The reverse is the case when you want to convert your BITCOIN to Naira. You sell the bitcoin in your wallet. It is very easy to get people to buy it from you especially ecurrency exchangers like NAIRA4DOLLAR and co. They buy like N500 per dollar from you. 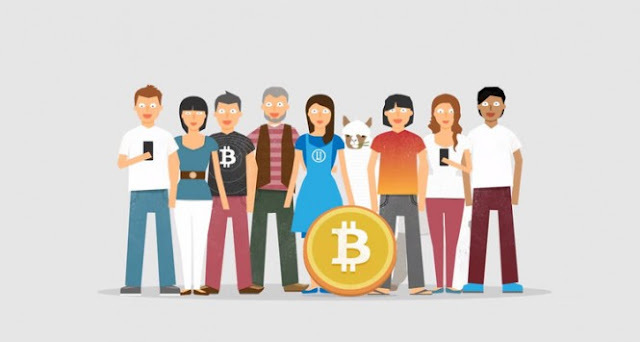 There are trusted merchants like www.naira4dollar.com, https://instantgold.ng, http://yelgold.net that sells bitcoin. You can also contact me to sell or buy from me by sending me message on whatsapp using my whatsapp number 08064280090 for fast funding instead of going through the stress of buying from exchangers and you will also get it at a cheaper rate from me too. buy/sell BITCOIN in …. (Put your city). Eg, buy/sell bitcoin in Lagos (if my city is Lagos). Once you do that, you will see a handful of websites and results that will come up. Check on them and look for the one that is closer to you. I advise you to walk into their office, cash at hand and do the transaction. 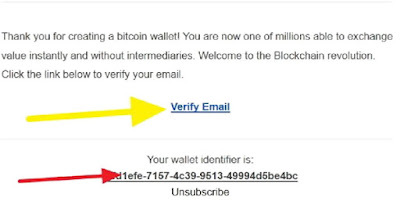 There are many scammers who disguise as bitcoin seller and offer your ridiculous price to lure you and scam you. www.naira4dollar.com is tested and trusted and you can pay them without going to their office but ensure you confirm from them they have on ground before paying. I am not their affiliate o,just saying this because my friends that have used them told me they are trusted. 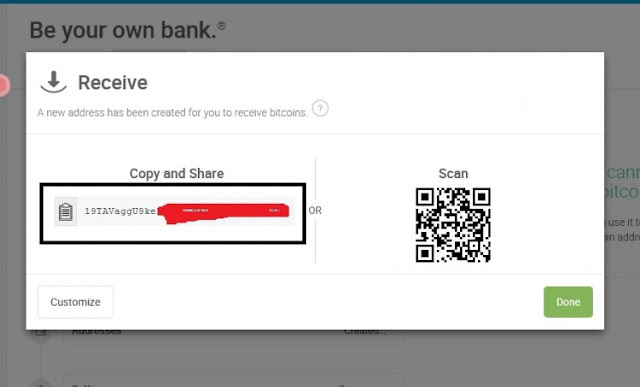 Now, go get your BITCOIN account funded as i roll out more opportunities you can use BITCOIN to partake in.